The Miramichi Reader: First, give us a little background. You’ve only been in the Miramichi a short time, so we would like to know more not only about you but about the road you chose to be where you are now. Dana Horrocks: I was born and raised a few minutes walk from the beach in Surrey, BC. Thanks to my adventurous parents I was lucky enough to spend three years of my childhood living in Brunei, a small Muslim country in Southeast Asia. Upon graduating, the only undergraduate program which interested me was called Renaissance College (a Bachelor’s Degree in Interdisciplinary Leadership Studies) which would take me to far away Fredericton. I enjoyed my time there, playing varsity soccer and pursuing courses in creative writing and economics. After graduating I bounced back and forth between coasts- doing an internship at 826 Boston (a non-profit after-school creative writing program for kids), working at Vancouver Kidsbooks (one of Canada’s largest independent children’s bookstores) and teaching English for a year in Kedgwick (as part of the Odyssey Program.) It was through these pursuits that I discovered the idea of librarianship and so from a snowy Kedgwick, NB I applied to UBC’s Master of Library and Information Studies program, and was thrilled to get in. I focused my courses on public library service and working with children, youth and families. After graduating I worked as an On-Call Librarian at the Vancouver Public Library for two years before securing a permanent position. 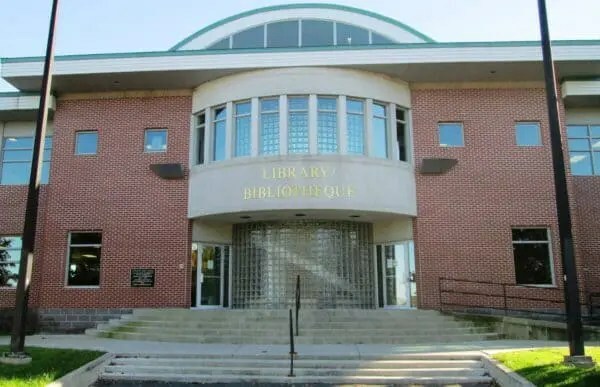 I worked at a busy, urban branch for another 2 years before following my partner back across the country to the Miramichi- where lo and behold there was a job opening for a new librarian! DH: As a teenager, I would re-read all the Harry Potter books before the next one would come out, as an annual ritual, however, these days I very rarely return to something I’ve already read. The one exception would be poetry – I have a small collection of poetry books which I will revisit when the mood strikes. I certainly have favourite kinds of books, books that feel like a treat, and they are picture books and graphic novels. Books to be savoured! MR: Can you recall at what point you decided (or thought about) becoming a librarian? Is librarian even the correct term these days? DH: Obviously, it all started with a book 😊 I don’t know how I heard about it but I read This Book Is Overdue! : How Librarians and Cybrarians Can Save Us All by Marilyn Johnson while I was living in Kedgwick and was blown away. Here was a career where you could advocate for and be part of an organization that upholds the most democratic of values, like access to information and protection of privacy, AND be surrounded by readers and reading all day long. I could combine my love of children’s literature, supporting literacy and the public policy and leadership I studied at Renaissance College. 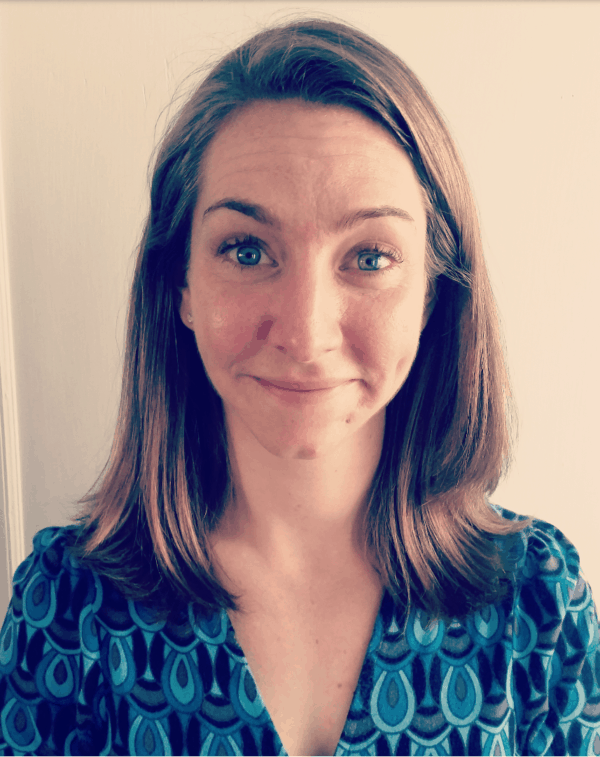 As soon as I came across the idea of being a librarian, it was so embarrassingly obvious I had no other choice, and I certainly haven’t looked back since. The Newcastle Public Library in Miramichi, NB. The term librarian is correct, however as libraries across the country employ paraprofessionals to do work which used to be a librarian’s bread and butter people are starting to question what makes a librarian unique and valuable. This is a good thing! We are being challenged to be both current and responsive to our communities, as well as deeply rooted in the values of our organizations and profession. Of course, there is a slew of other names that we have given ourselves to highlight the work we do like information professional, storytime ninja, or Punk Rock Book Jockey! MR: When you travel, do you visit libraries, perhaps to get ideas to implement back home? DH: Absolutely – anytime I am in a new town I make every effort to check out the local library and/or bookstore. My partner is usually a good sport, hiding out in the Sci-Fi/Fantasy section while I chat up local staff and take pictures. MR: Do you have any advice for someone considering Library Science as a career? What are some possible employers available to those who do? DH: Go for it! It’s a varied field, you can work in public or academic libraries or for any organization that requires a collection of resources to be managed. I know of people working in hospitals, art galleries, energy companies and not too long ago Beyoncé put out a call for a librarian – so the sky is truly the limit. It is about a core set of skills and values, where you put these into practice is up to you. MR: What do you like about living and working in the Miramichi? DH: There are so many things which I love about living here – the quick access to beautiful trails (for dog-walking and skiing! ), the lack of traffic and general chaos of the city and the friendly and welcoming people I have had the pleasure of meeting, to name a few. All this and I haven’t even spent a summer up here yet – from what I’ve heard I think I’m in for a treat! The Newcastle Public Library in Miramichi maintains a Facebook page here. The New Brunswick Public Library Service website is here.